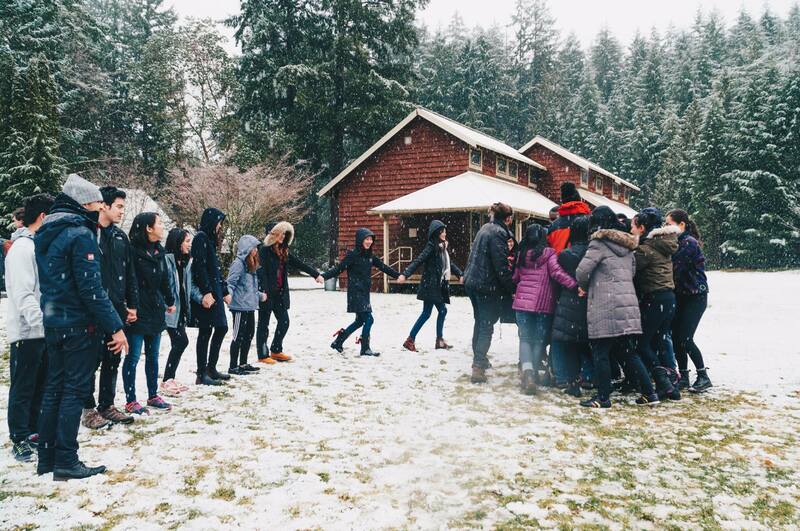 Every quarter, Unite UW takes a weekend retreat to Pack Forest, near Mount Rainier — a particularly memorable experience for participants. Photo credit: Rachel Su. Two new programs connect domestic and international students for bonding and cultural exchange to build a more inclusive, global UW. How do we create more opportunities for international and domestic students to meet, socialize and connect? In 2015, staff in the Division of Student Life focused on this question. 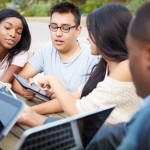 While programs existed to connect international students among themselves, fewer existed to build bridges between international and domestic students. 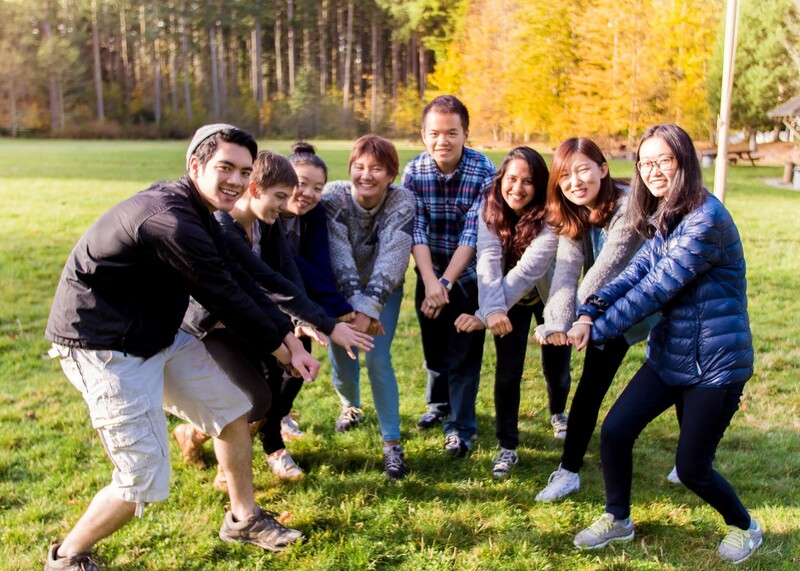 Enter Unite UW: An intense, quarter-long bonding experience on the Seattle campus for domestic-international student pairs. The program launched in winter 2016 with a cohort of 34 participants. By spring of the following year, it had grown to three concurrent 30-student programs, running all four quarters (including Early Fall Start). By Winter 2018, Unite UW has paired over 540 students — and has a long waiting list for future quarters. Staff at Student Life first considered, then quickly rejected, a mentorship model, in which domestic students would “mentor” international students. Vice President for Student Life Denzil Suite, along with International Student Engagement Specialist Dan Zhu, recognized that international students would be mentors to their domestic peers, as well. The model was designed as one of equal partnership, promoting two-way learning and exchange. For Zhu, the primary value of Unite UW is that it is mutually enriching. 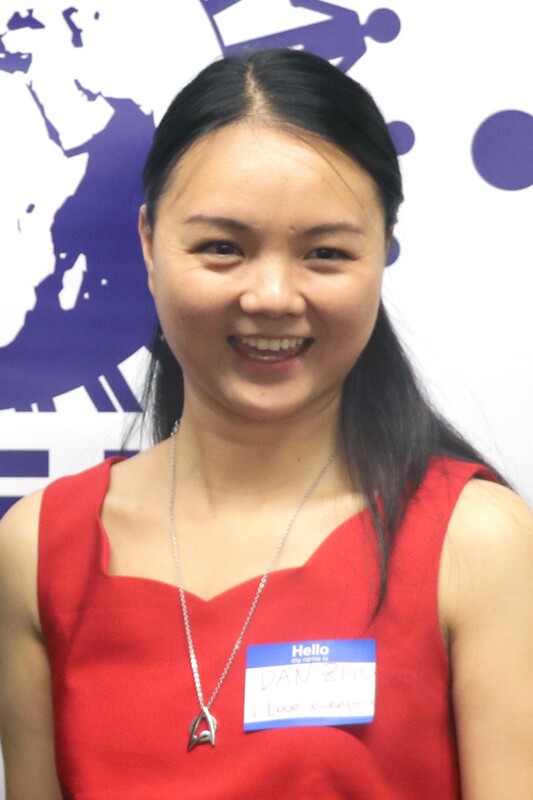 “Our international students bring diverse perspectives, knowledge and experiences that strengthen our classrooms, research and cross-cultural competencies — just as our domestic students do,” she says. During their participating quarter, the student pairs do weekly activities together — sometimes with other pairs and sometimes with the whole cohort. Activities run the gamut from resume-building and leadership workshops, to a Seattle scavenger hunt, to a “slang sharing” potluck. In winter, the program invites participants and alums to a dumpling-making party in celebration of Lunar New Year. Optional activities are offered weekly as well, such as ice skating or Husky basketball games. Bonding activities at the retreat to Pack Forest in Winter 2017. Photo credit: Rachel Su. UW Tacoma has developed its own cross-cultural partnerships to suit the campus’ urban-serving mission.The Global Ambassadors Program, for example, links incoming international students with domestic students in ways that benefit the whole campus community. 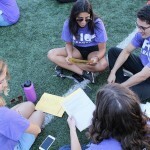 Led by Office of Global Affairs staff members Courtney Kroll and Amber Hallberg, the program takes applications from interested students in roughly equal numbers. A yearly cohort of 30 students keeps the program intimate, with a focus on social justice and cross-cultural bonding and exchange. Monthly events include lectures, films, group discussions and informal social excursions. 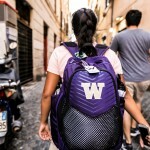 Participants gain greater cultural competency and humility, a sense of global citizenship and strengthened connections to the community, says Jeff Cohen, executive director of the UW Tacoma Office of Global Affairs. 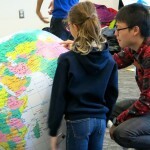 International students are supported in their transitions to UW Tacoma, and domestic students are provided global experiences without leaving campus. At the end of the program, participating students receive a personalized letter of recommendation from the Office of Global Affairs — and more importantly, they build relationships that extend well beyond graduation. Learn more about the UW Tacoma Global Ambassadors in Shooq Alhathelool’s profile.